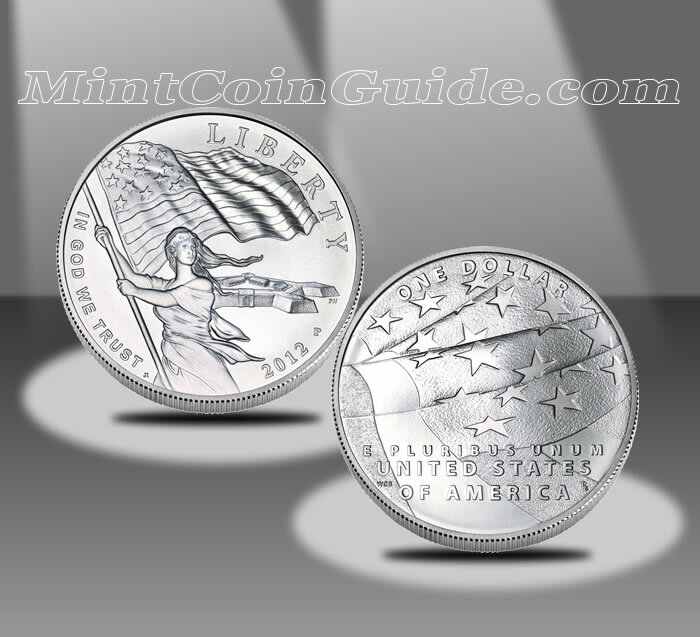 Released as one of the 2012-dated commemorative coins issued by the United States Mint was the 2012 Star-Spangled Banner Commemorative Uncirculated Silver Dollar. It was struck to mark the bicentennial of the writing of the Star-Spangled Banner which would go on to become the national anthem of the United States. Congress authorized the coins (along with associated proof silver dollars and proof and uncirculated gold coins) with the passage of the Star-Spangled Banner Commemorative Coin Act (Public Law 111-232). All coins of the series were to feature designs "emblematic of the War of 1812 and particularly the Battle for Baltimore that formed the basis for the Star-Spangled Banner." Congress ordered a surcharge of $10 to be collected on the sale of each Star-Spangled Banner Silver Dollar. These surcharges were to be forwarded to the Maryland War of 1812 Bicentennial Commission for use towards War of 1812 bicentennial related activities and preservation of War of 1812 historic sites. Each Star-Spangled Banner Silver Dollar is struck from 90% silver and 10% copper to a diameter of 1.5 inches. The US Mint released the Star-Spangled Banner Uncirculated Silver Dollar on March 5, 2012. Upon release, these coins were sold by the US Mint for $44.95 which reflected a $5 introductory price discount. The discount was lifted on April 5, 2012. The US Mint struck these coins at its facility in Philadelphia. The obverse design of the 2012 Star-Spangled Banner Commemorative Silver $1 Coin is emblematic of the theme “The Battle of Baltimore at Fort McHenry.” The design depicts Lady Liberty waving the 15-star, 15-stripe Star-Spangled Banner flag, with Fort McHenry in the background. Inscriptions are LIBERTY, IN GOD WE TRUST and 2012. The obverse was designed by AIP Master Designer Joel Iskowitz and sculpted by United States Mint Sculptor-Engraver Phebe Hemphill. The reverse design is emblematic of the theme “The Star-Spangled Banner” (the flag). It depicts a waving modern American flag. Inscriptions are ONE DOLLAR, E PLURIBUS UNUM and UNITED STATES OF AMERICA. The reverse was designed by AIP Associate Designer William C. Burgard III and sculpted by United States Mint Sculptor-Engraver Don Everhart.